The Audio Performer Pack is a complete P.A. 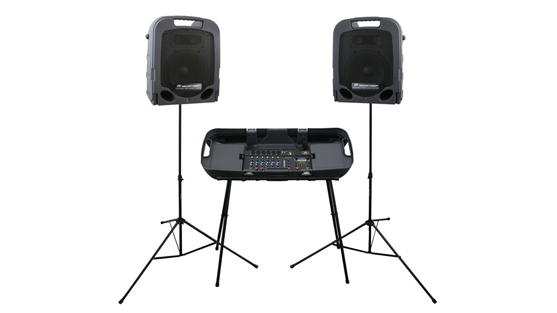 system that packages the PVi™ 4B powered mixer with PV® Series microphones, loudspeakers and accessories. The Audio Performer Pack brings ease of use and powerful sound to small performances and multi-purpose use in schools, churches and virtually any intimate speaking or entertainment application. The basic building blocks of the TransTube sound are the exclusive designs of the preamp and power amp. The preamp section tailors gain to meet the need for any amount of drive, from crystal-clear to thick, smooth sustain. The power amp reacts just like a tube output section by responding to the preamp with natural compression that increases as the amp gets louder. With TransTube, you get a killer amp with wide ranging dynamics and natural "grit," just like a tube amp! The LN™1263 is a compact, powerful, lightweight and low profile portable column-array. Utilizing 1200 watts of potential maximum power, the unit contains 12 2.75" custom drivers for the mid-high column and a custom 12" driver for the subwoofer. Completely self contained, the unit has no visible cables in mono operation. Its clean design is well suited for applications where speakers should be heard and not seen. 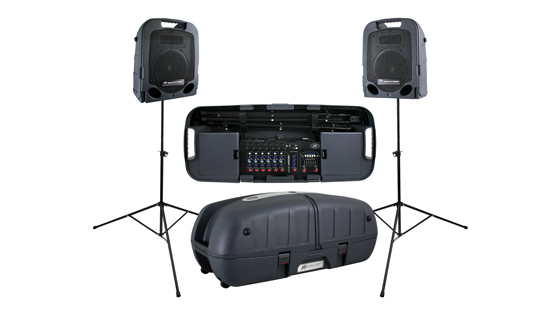 Coming in at 10lbs lighter than our nearest competitor, the LN1263 is extremely easy to carry: an entire PA system that can be moved by one person in one trip.